Due to the uniqueness of Camp Fire El Tesoro de la Vida Camp for Grieving Children, each application is reviewed by a licensed therapist. It takes at least two weeks to process most applications. Therapists will begin making calls for family interviews in May. Acceptance to El Tesoro de la Vida will be based upon the counselor interview and recommendation. For more information contact us. Help sponsor a child today! Most adults have experienced loss and grief, but children do not always possess the necessary skills to cope with their loss effectively. El Tesoro de la Vida, a week-long resident camp for children ages 7-17, helps children learn these skills alongside their peers. The program consists of 90% traditional camping activities such as horseback riding, archery, canoeing, hiking, nature study, swimming, crafts, sports and games. The other 10% of activities are structured to help children through the natural grieving process. 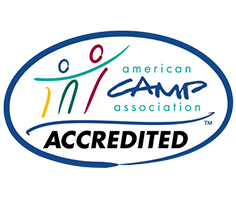 Certified professional counselors lead small group sessions and are on-site at all times to provide counseling and support. Campers are placed in cabins based on age and gender along with two adult volunteers who are educated in the grieving process. Camp El Tesoro de la Vida is made possible in part through the generosity of many individuals, foundations and organizations in the community. In 2016, 71% of the campers attended on a scholarship, which was made possible by this generosity. Watch our virtual camp tour video. Call us at 817.831.2111 or contact us. "Camp was an uplifting event that changed my perspective on the whole death and grief experience."